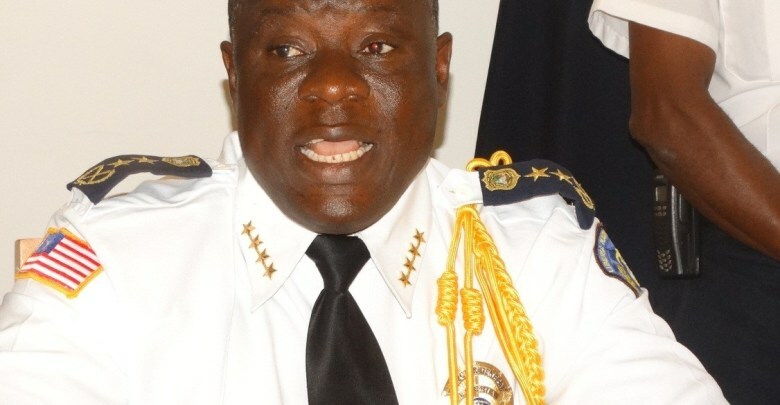 Liberia’s Police Chief Col. Patrick Sudue has appealed to the New York Police Department in the United States to assist in building the criminal investigative capacity of the Liberian Police and to develop coordination between the two entities in ensuring the fight against terrorism, cyber crimes and transnational crimes. Liberian Police Spokesman Moses Carter told journalists in Monrovia Tuesday, 8 January that Col. Sudue held meeting with some authorities at the New York Police Department (NYPD) in person of Joseph Reznick, Deputy Commissioner of Internal Affairs; Thomas P. Galati, Chief of Intelligence; and John B. Hart, Deputy Chief Executive officer, Intelligence Bureau. Additionally Col. Sudue has asked UN executives that LNP should be accorded the opportunity to second one of its personnel at the UN Headquarters in New York to serve as liaison from LNP to the UN.He also requests that the LNP be given the chance to serve on future UN missions. Mr. Carter says Col. Sudue got the assurances of the UN executives in ensuring that the LNP appoints two of its personnel as liaisons. One of these officers will be assigned at the UN headquarters while the second personnel will be at Central headquarters. Regarding developments here in Liberia, the police say they have arrested four persons in Nimba County following recent mob action that led to the death of a murder suspect Oldpa Gbassegee of Duan Town. Tension had erupted in the county on 2 January when a Gold Miner, Eric Beer, a resident of Gbee and Duru District was allegedly stabbed gruesomely to death by suspect Oldpa Gbassegee. Angry mob is said to have searched for suspect Gbassegee and mobbed him in retaliation to the killing of Eric.Police say they have succeeded in calming the situation and they are carrying on effective community policing in the area. In another development, police say they have charged and sent to court a 31- year-old man identified as Saah Joseph (not the senator), who allegedly raped to death a 17-year-old girl (name withheld) on the New Georgia Estate Road. The suspect allegedly admitted to police investigation that he committed the act. Police say suspect Joseph narrated that he an arrangement with the victim to pay her US$20.00 to pass a night at his contractual steel bending site. He claims that the victim later decided to refuse him for the second time in bed, prompting a fight between them that left the victim lying unconscious in the materials room given to him for his two-day contract.He allegedly threw the victim out of the fence with a plank ladder upon realizing that she was unconscious.